We all love to get wet in the drizzle…. But here is the bad news girls getting wet in the rain are not really cool for your hair. 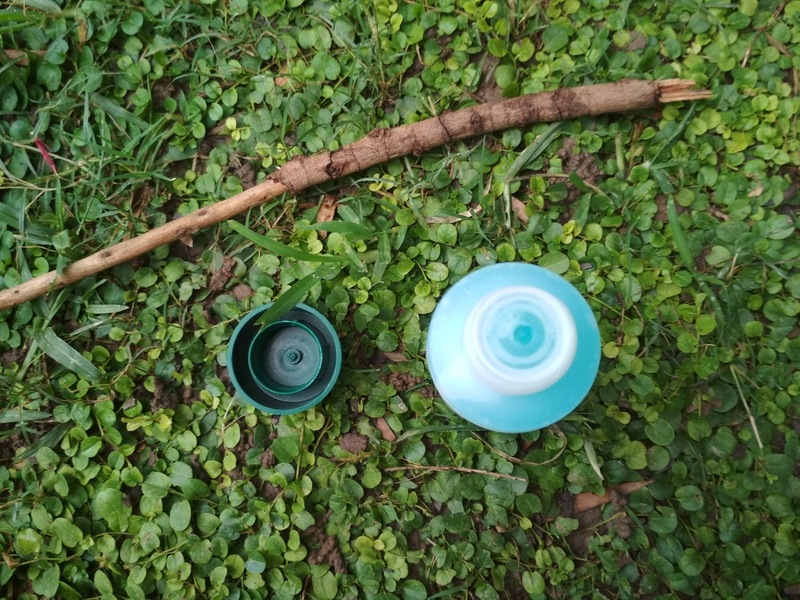 The rain water is acidic and dirty which can hyper your hair woes. Many of us think that summer is the season when we have the maximum hair fall but actually monsoon season has its own weather induced hair problems that shred away the outermost layer of the hair strand cuticle making them rough and dry. Since this is monsoon season and my hair resembles the fur of my lhasa apso puppy. Monsoon confuses me a lot when it comes to choosing a hair product. Today is your lucky day, as I have found the perfect magic lotion that will solve all your hair trouble. 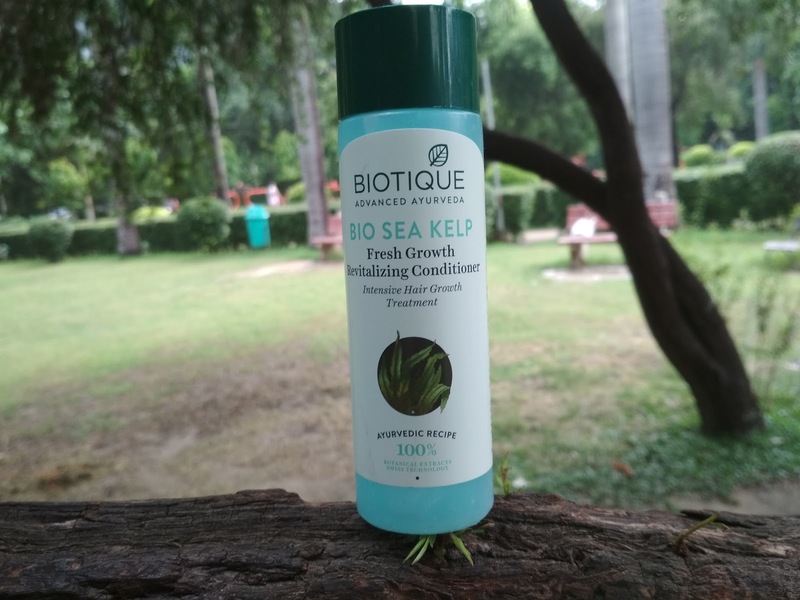 This season I gave two things to my hair to fight damage – Biotique Bio Kelp Fresh Growth Protein Shampoo and Biotique Bio Sea Kelp Fresh Growth Revitalizing Conditioner. Just other Biotique Bio products this Protein Shampoo is also packed with natural ingredients, nourishing qualities that promise to make your hair shiny and strong with regular use. This shampoo is completely SLS free. It comprises of some of the most popular herbal ingredients like Neem, Ritha etc that are known for promoting hair growth. Unlike another shampoo, this won't leave your hair dry or rough after use. You will rather feel a conditioning softness and shine after using it. This shampoo comes with a combination of herbal products like Tesu, Daruhaldi, Ritha, Sajjikshar, and Himalayan water, Q.S., Bhringraj, and Neem. All these products are known for having hair growth properties. 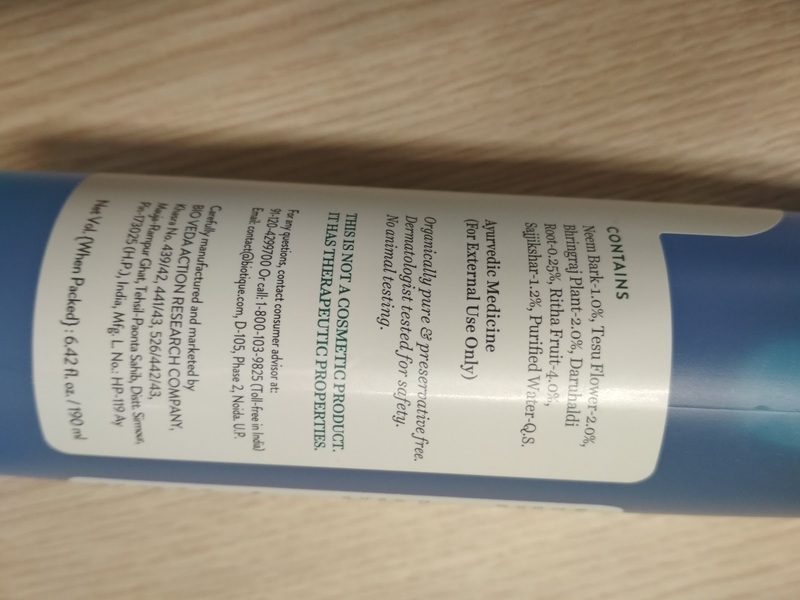 • Neem is an herbal antibiotic that relieves dandruff and itchy scalp, while Bhringraj and Sajjikshar promote hair rejuvenation and hair growth. Tesu encourages hair nourishment while giving them a smooth and healthy shine. Daruhaldi prevents dryness and cures dandruff. Sea Kelp is rich in iodine, Vitamin B, and magnesium that help in sustaining and protecting the overall health of your hair. 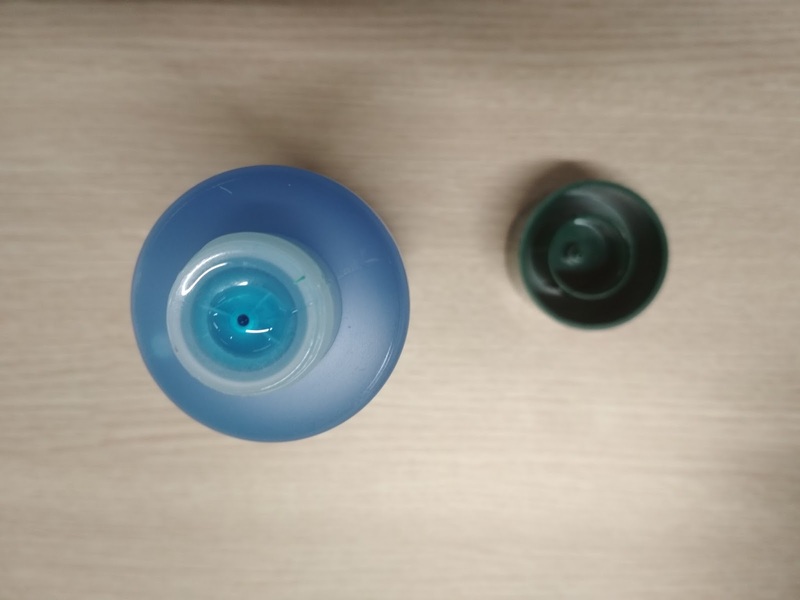 It is a blue colored liquid that creates adequate foam to clean your hair properly within one application. It has a fruity fragrance like raw green mangoes, with a hint of menthol. • It goes deep inside your roots and promotes intensive hair growth. • It comprises of essential nutrients, minerals, and vitamins that strengthen your hair while making them healthy and shiny. • It nourishes your scalp while removing hair dandruff and excess hair oil from your hair. • The shampoo is made mostly out of herbal products, which makes it safe for all skin types. • It also leaves your scalp with a cooling sensation that relaxes your hair roots. • It creates dense foam that cleans your hair properly, leaving it with a shiny appearance. • It can significantly reduce hair fall within few washes. • Some people might not like its cooling effect, as it really gives a freezing sensation on your hair. You might want to avoid it using especially in winter. • You might have to use a lot of shampoo to create enough lather on your head. Forget the shampoo; I am literally in love with this conditioner. This conditioner lives up to its name and will give your salon therapy like smooth and shiny hair. This conditioner is enriched with Sea Kelp which is known for having a high ratio of Vitamin B, zinc, magnesium and iodine that can help make your hair glossy and shiny. 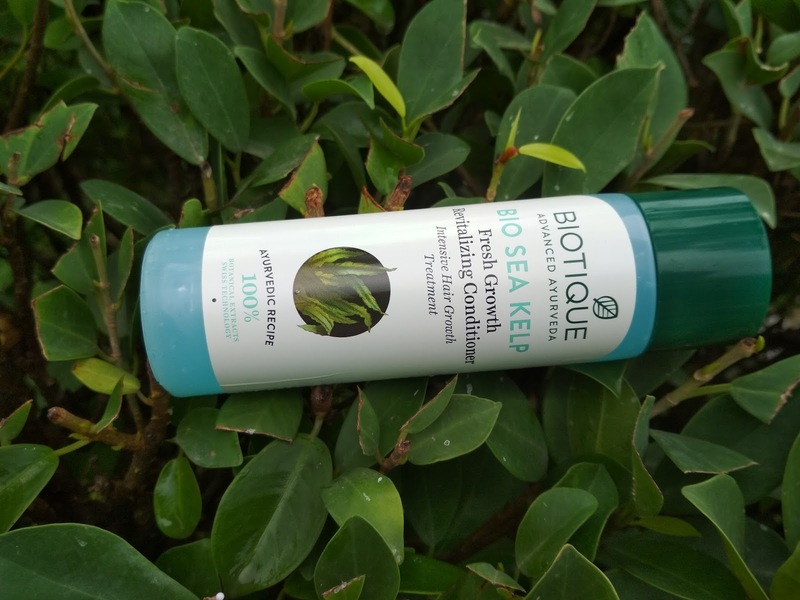 Unlike most conditioners, Biotique Bio Sea Kelp Fresh Growth Revitalizing Conditioner is a transparent thick liquid potion, with a fruity strong fragrance; with make your hair feel washed and fresh for days. • It helps in making your hair strong and shiny at the same time. • It nourishes the roots of your hair while strengthening them from within. • It also helps in promoting hair growth. • It is not sticky or creamy, which can be easily applied to your hair. • It helps in reducing hair fall. • Made from natural nutrients and minerals that promote hair strength and rejuvenation. • It has a very strong fragrance, which I personally love but can be a problem for some people. • It is very dense, which can make it hard for you to remove your skin. I have always been a fan of Biotique’s face washes, and carry one around everywhere I go. I don’t know why never thought about trying any of their other products. However, now that I have, I am glad that I have discovered this shampoo and conditioner. 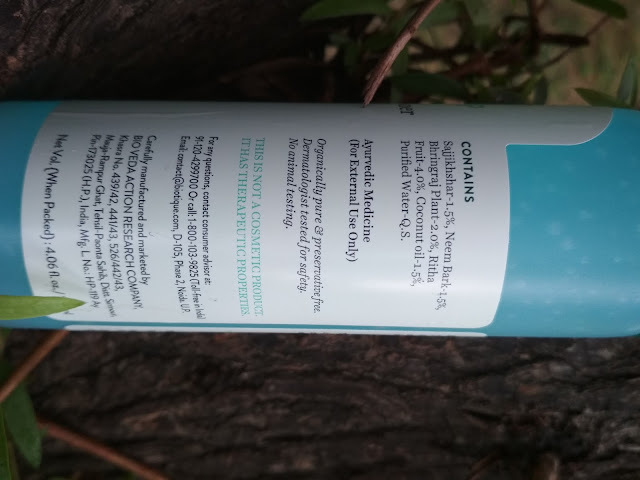 The conditioner along with the Biotique shampoo really helped in reducing my hair fall in rainy season while the conditioner softens my hair promoting luscious, healthy shine. I have been using these two products together for few days and I am completely happy with the results. Sure they do have minor loopholes, and can be improved but who doesn’t. My hair loves it & it smells amazing!I definitely feel that their packing can be improved; however, it is quite travel-friendly right now.
" You can buy this shampoo for its refreshing effect and also for preventing hair loss. 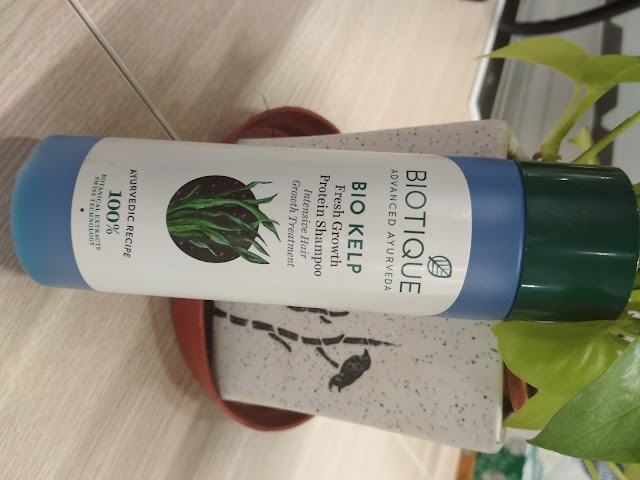 I will give Biotique Bio Kelp Fresh Growth Protein Shampoo, Four stars out five. However, this conditioner will seal the deal for me here. 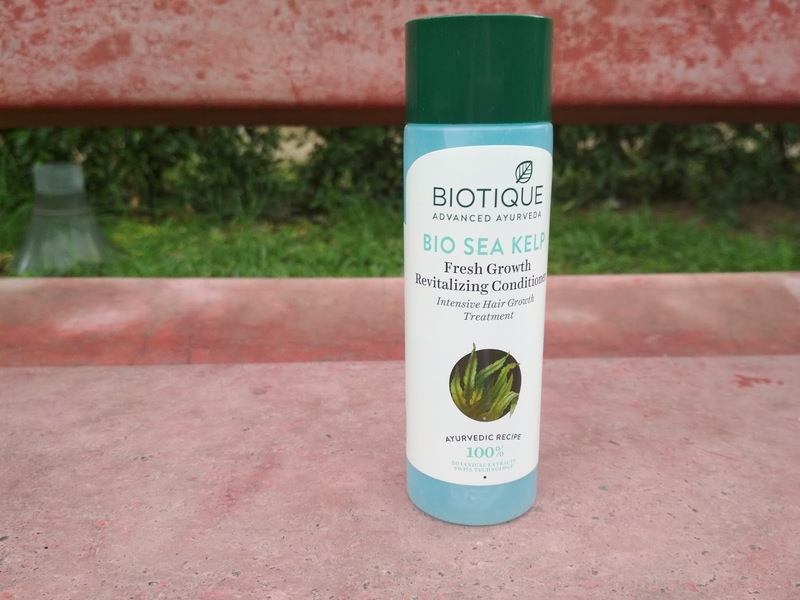 I will give Biotique Bio Sea Kelp Fresh Growth Revitalizing Conditioner, four points five out of five stars. This is probably one of the best conditioners I have ever used and definitely plan on using it in the future, despite what shampoo I might be using. " Both these products are available at an affordable price and come with a decent quantity, which makes them a must try. I would definitely recommend you to use this shampoo as together they can really help in making your hair shiny and manageable. Hope you have enjoyed reading this review. I have tried their shampoo and conditioner. This does the job of a mild cleanser. Lovely review. But sadly it didn't work for me.